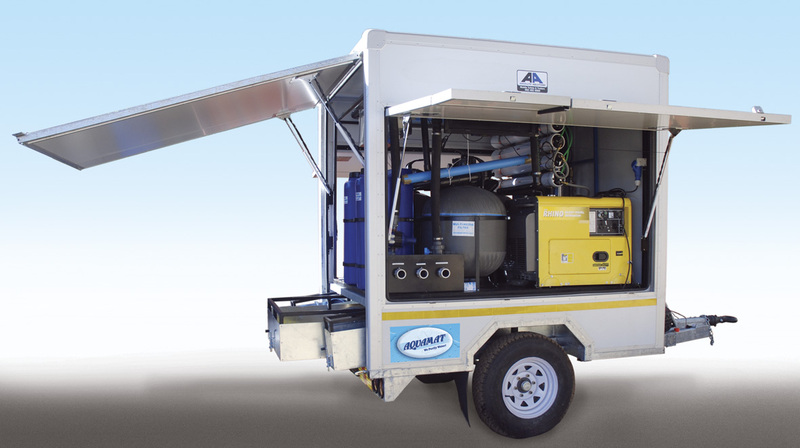 Entirely designed and built in South Africa, the Aquamat Mobile Instant Water Purification System uses state-of-the-art technology to process quality drinking water from any water source. These units are available as made-to-order units, with a choice of Petrol, diesel or electric pumps. This system effectively removes solids, colour, taste, odour and residue. It is perfect for applications where water supply requirements may not be permanent such as farms, informal settlements, and mining. A large variety of options are available, depending on the quality and nature of the water source, the quantity of purified water required, the application (need) for the purified water, manual or automatic operation. 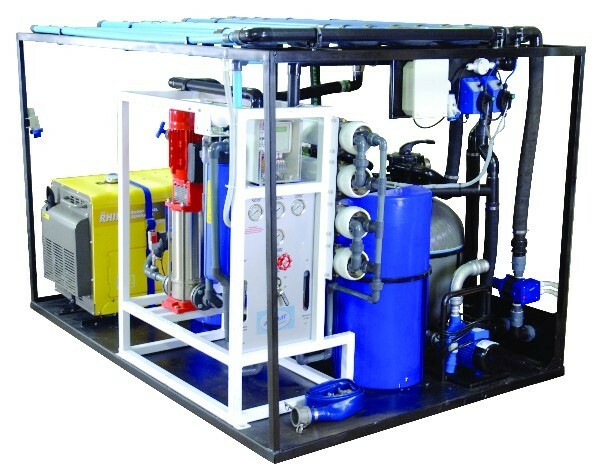 Flocculation, filtration, heavy metal removing, sterilising, polishing and reverse osmosis treatment. Cleans & sterilizes any dam, river or borehole water. Kills all germs & bacteria producing clean, bacteria-free, tasteless, odourless, chlorine-free drinking water. Pressure pump & automatic dosing. Sand, Exfetron (iron removal) & Activated Carbon Filters. OPTIONAL: Reverse Osmosis & Ultra Violet Sterilisation. Generator (diesel or petrol) included for ultimate mobility. Available in enclosed trailer (as illustrated) or expanded metal grid formats. Reverse Osmosis & Ultra Violet Sterilisation. Kills all germs & bacteria. Producing clean, bacteria-free, tasteless, odourless, chlorine-free drinking water.